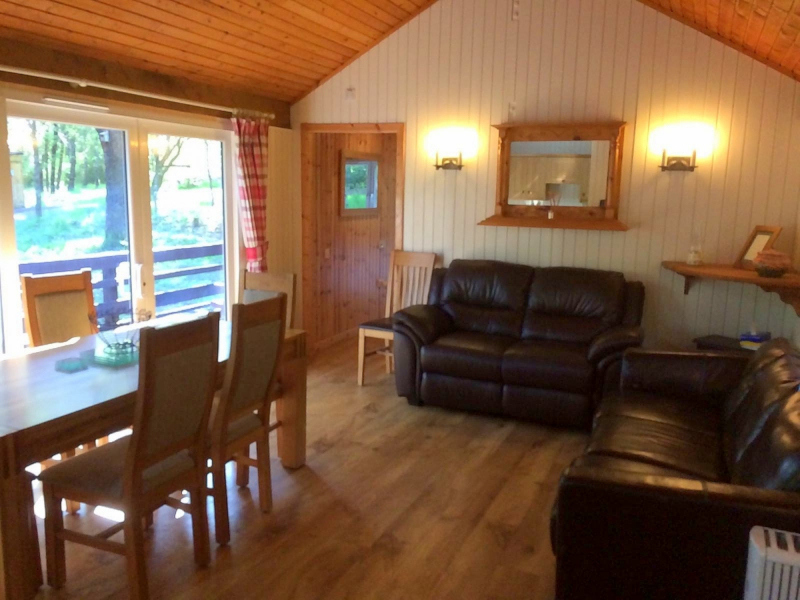 Berneray is a lovely, spacious log cabin nestling deep in the forest at the edge of the site. 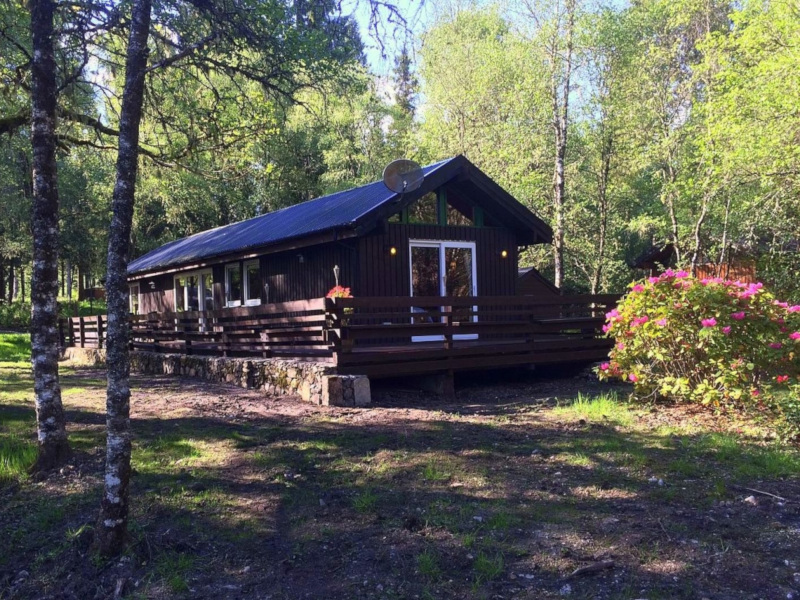 It has extensive grounds, is a great location for wildlife watching and is just a short walk from the loch shore. 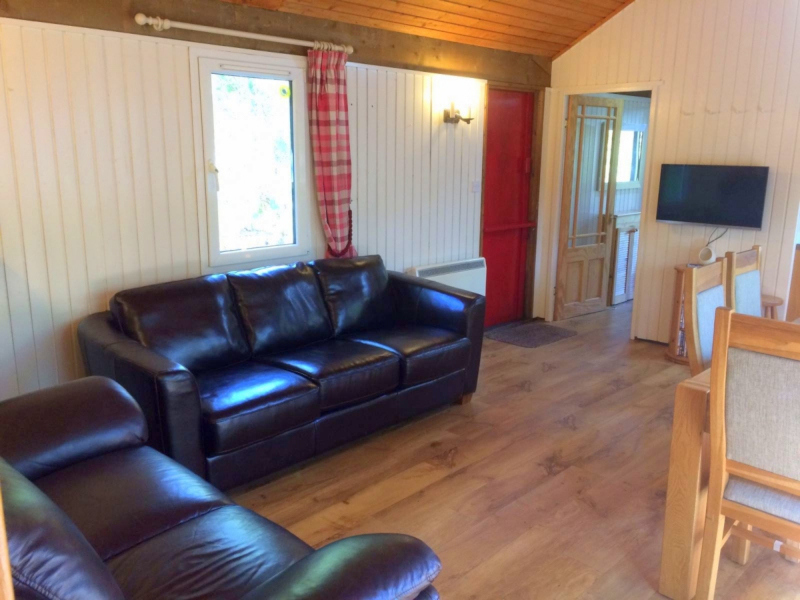 This recently refurbished log cabin provides self catering accommodation for up to 6 guests (including use of sofa bed) and consists of an open plan living / dining / kitchen area, double bedroom, twin bedroom and family shower room. It is double glazed, well heated and suitable for year round use. The living area has TV, DVD player & Hi-Fi (via DVD), radio, a three-seater sofa, two-seater sofa-bed and dining table for 6. 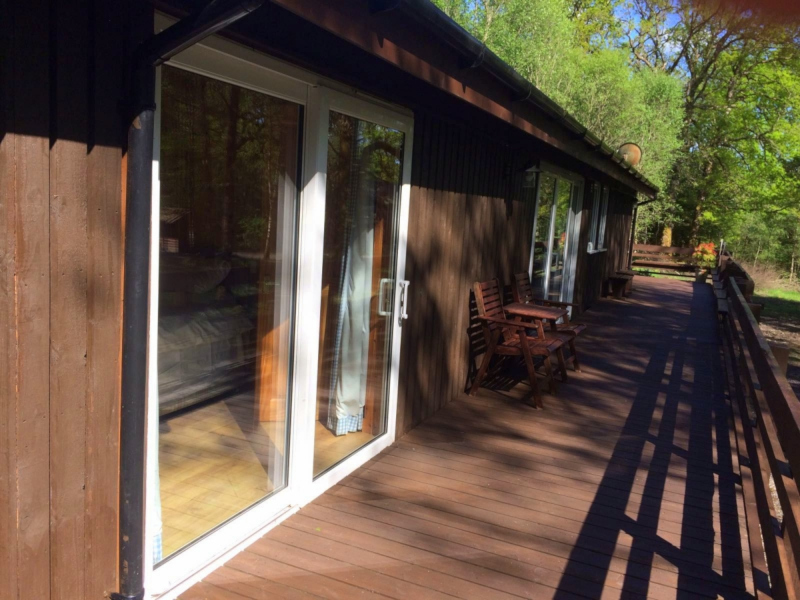 Patio doors open onto a large (length and width of cabin) veranda overlooking the surrounding forest. 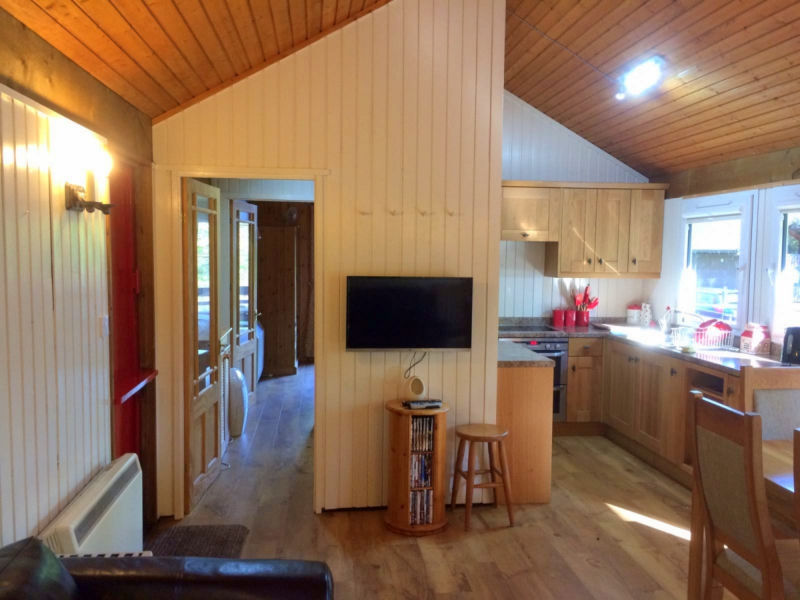 The kitchen area is well equipped with cooker, fridge, microwave, toaster & kettle. A full range of cooking utensils, crockery and cutlery are provided. 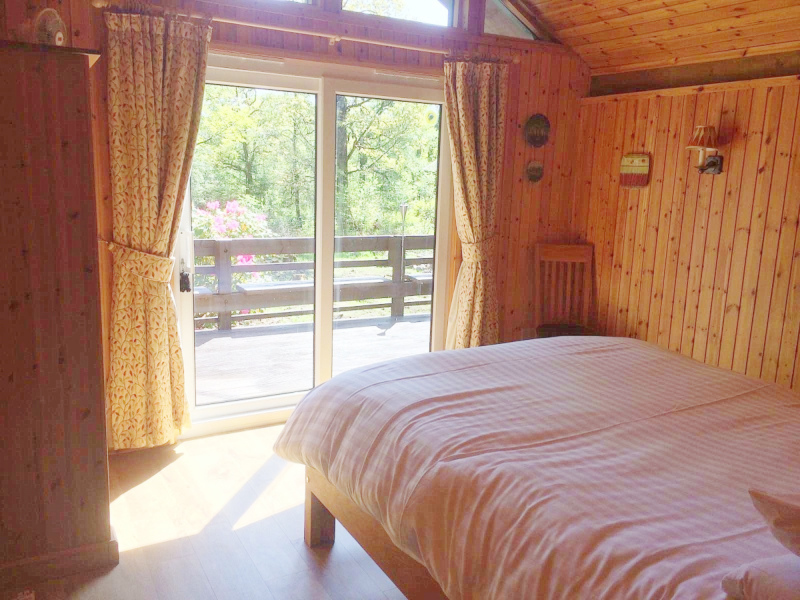 Bedroom 1 has a double bed, TV, bedside cabinet, wardrobe / clothes storage with patio doors opening onto the veranda. Bedroom 2 has twin beds, bedside cabinets, wardrobe / clothes storage, with patio doors opening onto the veranda. The shower room is a wet room with W.C. basin, shower and heated towel rail. Outside there is parking for 2 cars, ample gardens and a beautiful veranda with garden furniture. Nature is at your doorstep and the adjacent forest is habitat for Red Squirrel, Pine Marten, Roe Deer and abundant bird life. All electricity and linen (not towels) are included within quoted prices. This is a non-smoking log cabin. Log cabin is wheelchair accessible.